The California Court Reporters Association (CCRA) has introduced legislation, AB 2629, that would raise court reporters’ fees for producing transcripts of trials. CCRA president Brooke Ryan believes this raise is long overdue, but she ignores key issues of interest to taxpayers. 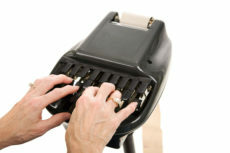 Court reporters are highly paid government employees and according to courtreporteredu.org, their average rate of pay in California is the second highest of any state. According to the federal Bureau of Labor Statistics, the average annual pay for California court reporters in 2015 was $70,490. In the Sacramento area, the 2015 average was $71,410, with court reporters bagging an annual $81,940 in Riverside-San Bernardino and $82,040 in Oakland. In addition to their salary, the state also pays court reporters a fee per hundred words to produce transcripts of trials. Ryan neglects to explain that current policy allows reporters to own this material. Attorneys, observers and writers alike must purchase it directly from the court reporters, and it is not cheap. A transcript of the recent murder trial of Todd Winkler in Eldorado County, for example, would cost, $1777.44, according to the court reporter on the case, the sole source for the material. For those not able to attend the trial, that is a considerable expense, and the transcript does not include audio and video – 911 calls, police interrogations and so forth – even though those materials may be crucial to the case. To put this lucrative perk in perspective, imagine if bailiffs were allowed to own the benches in a public courtroom and charge journalists a fee to take a seat and cover the proceedings. Court proceedings belong to the people and should be audio and video recorded in downloadable form, with the shorthand transcript serving as backup. We have had the technology for some time, but thus far Luddite legislators lack the will for reform. They would rather entrench a government information monopoly than adopt modern technology to lower costs for taxpayers.